If you are looking for the right plumbing heating and cooling service in Pequannock NJ, you should look no further than Irepair. In today’s world, people can hardly do without proper heating and cooling. In fact, this service has become central to convenience and comfort in the home, office, and other situations. However, to enjoy the service, you need to install the right appliances from the word go. You will also need to repair and maintain the apparatus regularly so as to enjoy reliability and longevity, and this is more reason you should make Irepair your company of choice. 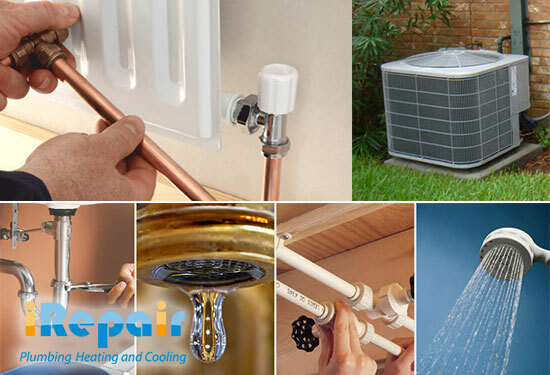 Irepair has been in this Industry for more than 15 years and is comprised of trained individuals who are experienced in installing, repairing, maintaining and servicing apparatus that help in efficiently cooling and heating the home or office. We work on air conditioners, heat pumps, central heating and cooling systems, boilers, furnaces, plumbing and much more. Through the years, our company has been investing in the best brains, technology, and equipment so as to guarantee you of quality service and peace-of-mind. Air Conditioning Services: Our technicians are well-trained and equipped to install, maintain and repair air-conditioners and central cooling units in the home, office, factory, warehouse and other places. Hot Water Heating: We install, replace, repair and maintain hot water heaters and other devices that provide hot water to your home. We work on electric, oil and gas heaters. Furnace Services: To keep you warm and cozy during the cold season, we will ensure your furnace is running as required. We can also replace an aging or faulty furnace in the shortest time. Boiler Services: Our Company will install new boilers, replace faulty ones, and also undertakes repair and service to both residential and commercial customers. Plumbing, Sewer and Drain: As your number one plumber, Irepair will inspect, install and repair the plumbing, sewer and drainage system. We are always available around the clock to deal with emergencies. Working with us accords you peace-of-mind and maximum satisfaction. We boast of more than 15 years of experience in heating, cooling and plumbing, and are licensed & registered company. In addition to our wide service array, we are reachable 24/7 and also offer free service quotes. Call us on (973) 666-1200 or visit our look more into our site to learn more about our services. Talk to Irepair HVAC and experience what stress-free and reliable plumbing heating and cooling services in Pequannock NJ are about.